Hello! 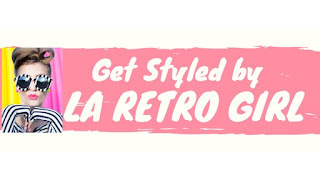 I've always been drawn to retro and vintage aesthetics but recently, I've felt particularly inspired by sixties mod. 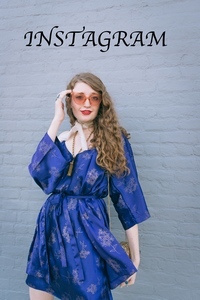 Vibrant colors, bold simple silhouettes, stark color contrasting and quirky sunglasses? Count me in! 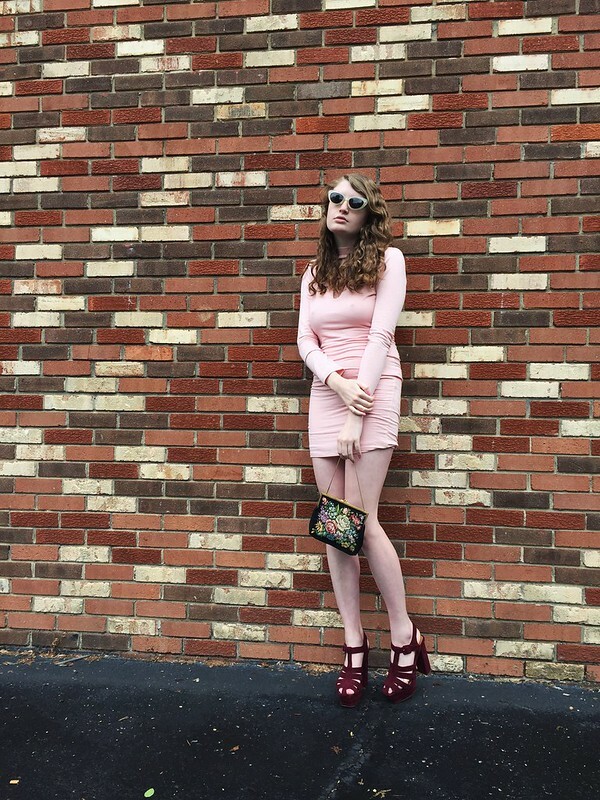 KJCouture recently sent me their "Blush Cutout Bodycon Dress" and it's the perfect flawless blend of trendy and sixties mod and wow, I am in love. The trendy rose quartz color and bodycon fit of this dress distinctly define it as very now, very hip but the interesting neckline and solid color of the dress indicate the sixties style inspiration behind the dress. For this look, I wanted to play up the sixties mod appeal of the dress. I can't get over how much I love the interesting high neckline of this dress. I added to the sixties mod appeal of the look with the coolest pair of mod sunglasses from Giant Vintage. 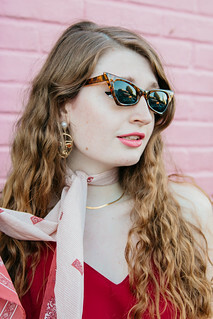 These shades are deadstock vintage, meaning that they were produced most likely in the sixties and have been sitting around, waiting to be showcased. If you're interested in purchasing a pair for yourself, they cost $22 here. I also styled a vintage embroidered purse and cute platform heels with the look. To keep up with the sixties mod aesthetic, I decided to ditch wearing any jewelry for the day. Those shoes are incredible! Love them!